Retired IR Gary Evenson volunteers with Adopt-A-Native-Elder on the Navajo Reservation near Winslow, Arizona. 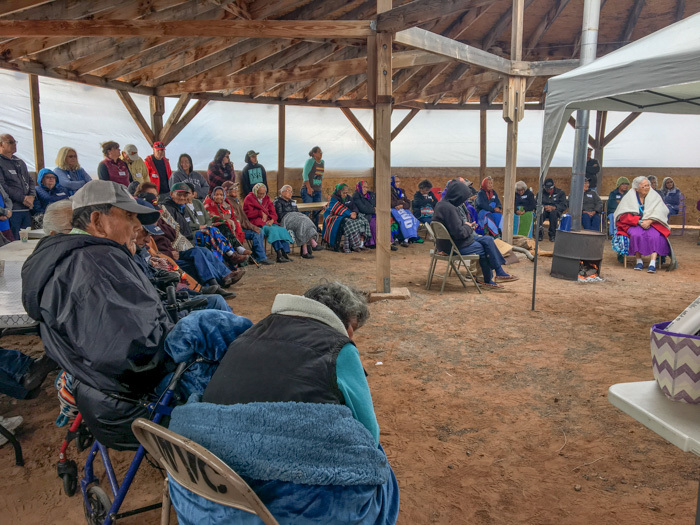 Elderly Navajos, age 75 and over, wait in a circle to receive packages of food, yarn, food and firewood certificates, clothing and a hot lunch on the Navajo Reservation at Big Mountain. Elders and their families gather at Teesto area on the Navajo Reservation waiting for goods to be distributed. All the food, firewood and other goods are made possible through donations. Both Evenson and International Secretary-Treasurer Bill Creeden are members of Local 627 (Phoenix) and in the 1990s, both were also Fight Back organizers. They’d been assigned to California with a mission to get hired onto job sites as “regular Joes” then recruit the non-union workers into the Boilermakers. The contractor they signed on with had hired a large number of non-union Navajo workers. They also discovered they already had connections to some of them. Evenson and Creeden signed hundreds of people into the union. And many they signed were Navajo. Evenson slotted some of the new recruits into Local 92 (Los Angeles); but for the Navajo members, that union hall was too far from Arizona. So, several Navajo members petitioned to start their own local. And they had the members to do it. In 1999, the Navajos were granted a lodge. They asked for the lodge number to be four. It’s a sacred number because of the four sacred mountains (in Arizona, New Mexico and Utah—the boundaries of the Dinétah), four compass points and four colors (jet black, white shell, turquoise and abalone). Local 4 (Page, Arizona) was born April 1999 with over 100 members. By June, that number had risen to 300. Current BM-ST Louis Dodson recalls the growth of Local 4 after they received their charter. For Evenson and Creeden, helping elderly Navajo living on the reservation is a continuation of their work unionizing and forming a lodge two decades ago. 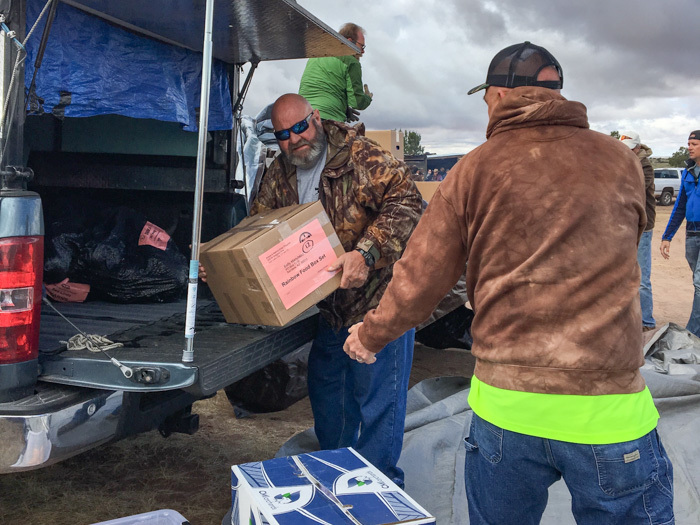 THROUGH BOILERMAKER DONATIONS, Navajo elders living in remote tribal areas in the Southwest receive food packages, grocery certificates and firewood as part of Adopt-A-Native-Elder. The assistance program helps elders who live in isolated areas of the reservation. 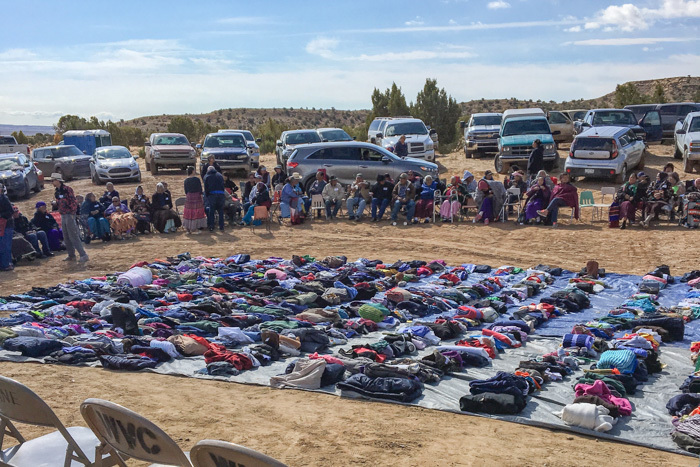 For over 30 years, Adopt-A-Native-Elder has filled the gap by providing food, simple medicines, clothing, fabric and yarns to help more than 550 elders. “We have an opportunity to touch the lives of these traditional people to show them that despite the many abuses they’ve suffered, there are people who care for them; people who respect them and their way of life,” Myers says. She says that donations from the Boilermakers have made a positive impact on the comfort, security and survival of these men and women.